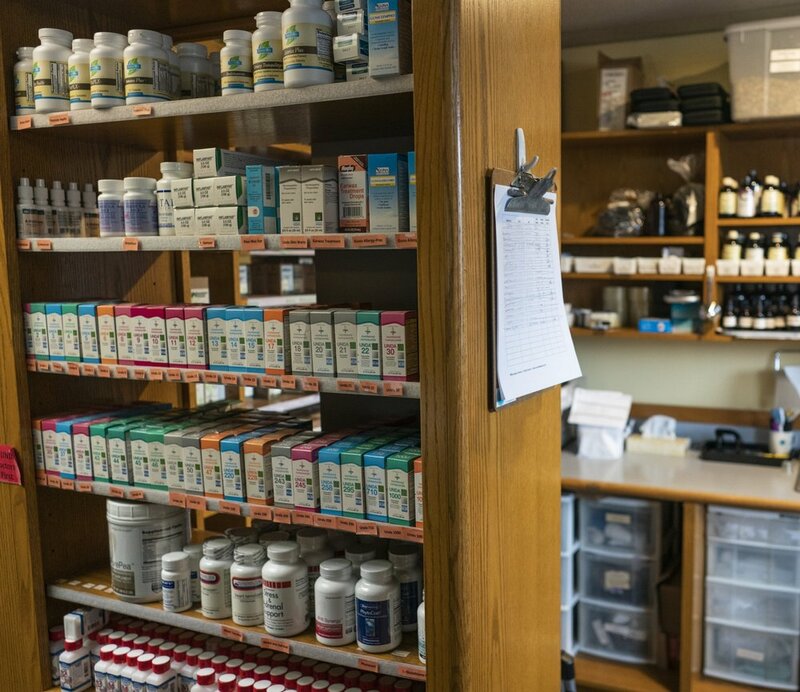 Our clinic has a dispensary of botanical, homeopathic, and nutritional formulas that will only be prescribed and dispensed if they are necessary for your care. In acute conditions, more frequent doses are commonly prescribed; for example, every hour or two for an infection. In longstanding conditions we may prescribe the medicine to be taken only once or twice daily or once a week. 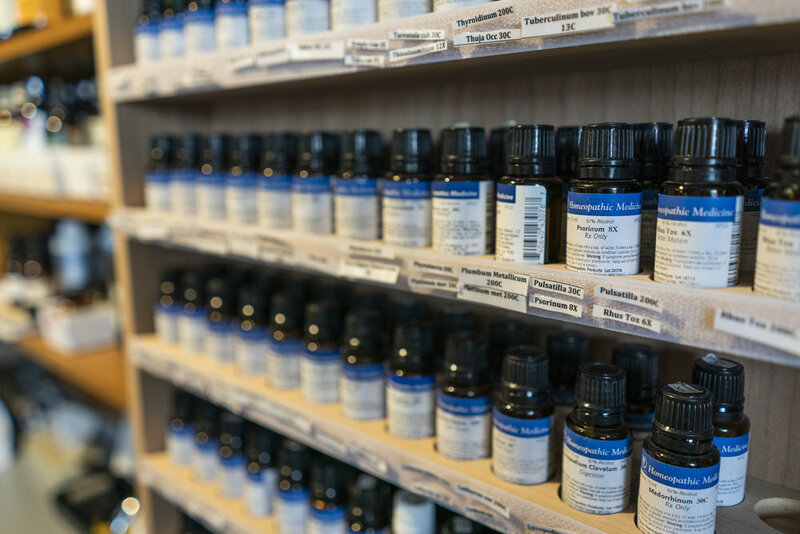 Our clinic utilizes both Chinese and Western botanical medicines because they can often be an excellent alternative to pharmaceutical therapy. The word ‘drug’ comes from the trading word ‘droog’ which meant ‘dried herb’.Botanical medicine comes in tablets, capsules, tincture extracts, and teas. We utilize the best that modern science has to offer combined with the long traditions of herbal medicine. Homeopathy is the use of highly diluted medicinal substances that promote a healing response in the body. This method was developed in Germany by Dr. Samuel Hanhemann over 200 years ago and is used widely all over the world as primary care medicine. Based upon the understanding that ‘like cures like’, small doses of a substance are given which, in turn, stimulate a healing reaction in the body. Homeopathic Drainage Therapy is a special application of homeopathic medicines. The goal of the drainage formulas is to drain wastes from specific cells, organs, or fluids of the body that impair normal function. By eliminating these wastes, the cell, organ, or tissue can then function more healthfully.